Homework & Assignments - Mr. Lafrance's Spot, Check it Out! Each letter has been assigned a value. Please see the list below to discover what the dollar value is of each letter in the alphabet. We have already found one together as a class, that being WEDNESDAY. 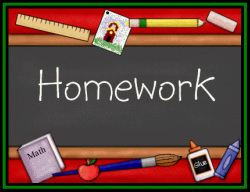 Please note that there will not be any homework assignments for the first week of school. Check back periodically as this page will be updated regularly with new assignments and homework on a weekly basis.